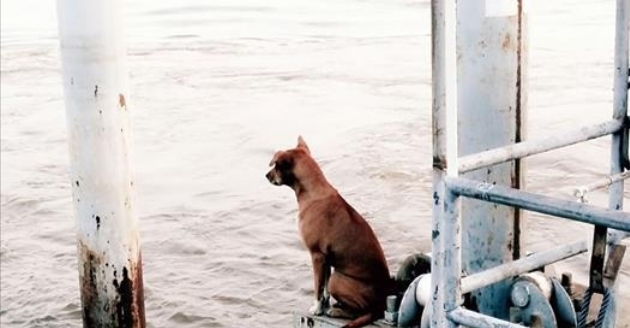 A dog was tragically separated from her family when she reportedly fell off their boat and into the Chao Phraya river in Bangkok, Thailand. 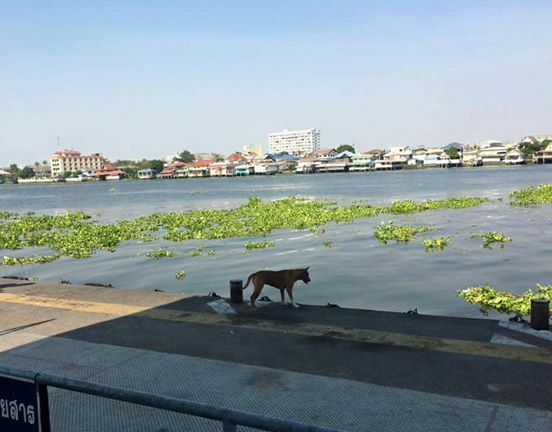 She managed to swim to a dock at the Rama V pier, and that's where she waited for her family to come back for her. She waited there every day for more than a month, according to a Facebook post by Thanawan Tongporn, which went viral in Thailand after being shared over 11,000 times in roughly 48 hours. It's unclear why the family didn't return to get their dog, or if that's even the actual reason why she ended up staring hopelessly into the water every day. For weeks, she managed to find food and water as she waited for her family, and sometimes she relied on the kindness of strangers. Luckily, it didn't take long for one kind stranger to offer the dog more suitable home. News crews were at the ready when the new family picked her up. 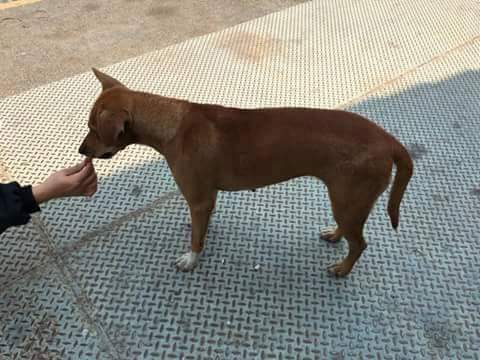 In honor of where they found the dog, they named her Tha Ruea, or "Pier," in English. 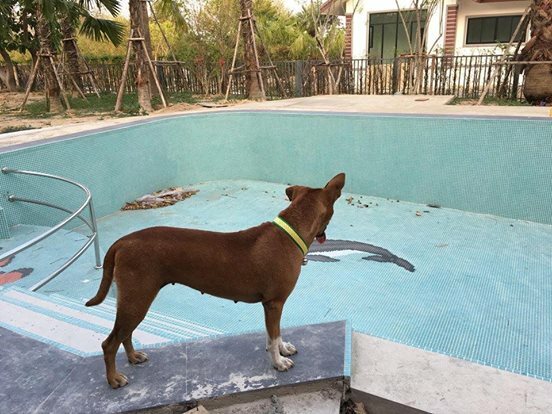 Now, Tha Ruea lives with her new family in a spacious home, which even has its very own backyard pool. A segment from the local morning news includes a clip of Tha Ruea wagging her tail and licking the face of one of her new family members. After weeks of waiting for her previous family to return, she's finally feeling happy at home with her new one. Responses to "She Waited In This Spot For A Month For Her Family To Return"
Wonderful that she found a better family to love and to love her! Kim: Why do you say "better family"? Did the previous one through her out of the boat? That would be a big shore line to look for her. They might have assumed her to be drowned. Just glad she has a new forever home. Anonymous No. 2 @ 11.54......Says it the exact way I feel.